Mother’s Day is fast approaching, and I couldn’t be more proud to say that I’ll be joining the ranks of all great mother’s out there who will also be celebrating. I know that at this time, a lot of you (including me) are thinking of what to buy for our Moms (and hoping to get some useful gifts too this Mother’s Day *wink *wink). Who wouldn’t love a special gift this Mom’s Day, right? I sure would! With so many choices out there, I’m sure the selection is very wide and can be pretty overwhelming for someone who’s thinking of buying one or two gifts only. One thing that can be helpful, of course, is if you know exactly what your Mom will like, what are her hobbies and what she enjoys doing. If you know all that, then selecting the perfect gift will be pretty easy! AND can be fun too! If your Mom, or if you know someone (a dear friend or a sister perhaps) that loves to travel, then you’ve come to the right place! 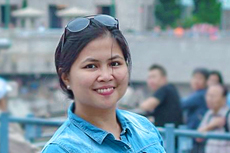 As someone who travels and a Mom too, there are indeed a lot of things that I’d like to have and I wish every Mom will have to make traveling (with or without kids tagging along) easier and more fun! 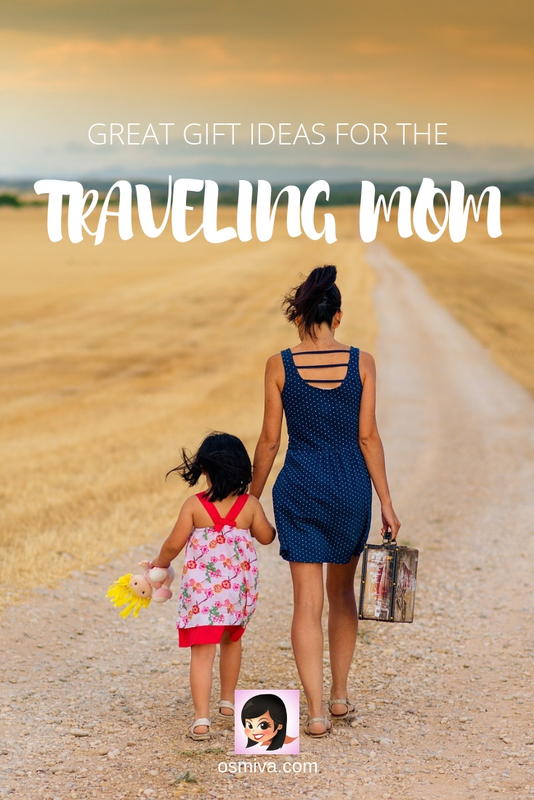 So to help you decide the perfect gift, I have listed down some pretty useful things that I, as a traveling Mom albeit not full time, will find very useful when we travel! For those who know me, I’m a super organised person. My hands get itchy (not literally of course, LOL) if I see even one misplaced item especially inside the bag. I’d go and re-arrange the contents again even if I’m too tired. LOL. If your Mom is like me, then this Travel Insert Handbag Organiser is perfect for her! The bag can hold several items like cosmetics, cell phones, cards, purse and many more. The varied sizes of the pockets are perfect for small to medium sized stuff you want to keep (like gadgets and medicines). As a Mom and a wife, packing has always been my job. Although for my husband, I let him choose the clothes he needs then I narrow it down to the essentials. Meaning, I sort out the clothes he will be wearing from day one and so on based on the items he previously chose. I have this habit of pre-arranging our clothes according to day of use. While packing cubes are pretty cool items to have for packing, I find these Compression Bags more efficient and space-saver. One thing I’m pretty good now is rolling clothes, so this is very very handy. The bags have this valve-suctions technology that tightly compresses and seals. It is also air and water tight so you wouldn’t have to worry about keeping your clothes fresh, clean and dry while on the road. For someone who loves to bring as many travel essentials with me while exploring, a cross-body bag is a very wise choice. Before, I used to bring a shoulder bag with me when I travel as I didn’t really mind bringing the extra bulk. This Anti-Theft Messenger Bag has 4 convenient wall pockets and has 2 mesh expansion pockets perfect for water bottles and umbrellas. The strap is also adjustable so it can easily be adjusted according to your preference. Long haired Moms (and ladies) out there know that towelling our hair dry after a bath is essential. I for one loves to keep it up while I’m changing clothes and putting on the minimal make-up that I wear everyday. Sadly, it’s a luxury that I most often don’t get to do when I’m on the road and traveling. Good thing that these Microfibre Dry Towel Turban is available, and I’m sure some Moms out there will love too. It’s pretty lightweight and can fit to both adults and kids! It’s also water absorbent so it can definitely dry your hair quickly, thus making preparations more faster. For traveling Moms with infants or a toddler, this Breastfeeding Cover Scarf is a perfect Mother’s Day gift! Never let Mom go out of style! After all, looking good while traveling can be achieved even if you have packed light. This Multi-Use Scarf is a perfect accessory to style up any outfit when on the road. It can be worn as a shawl, tunic, a cape and more! It also has a drawstring pouch that Mom can carry anywhere! Pretty convenient! If your Mom loves the beach and/or soaking up the sun, sun hats are definitely a great gift for her! Personally, I find hats very essential nowadays especially when going to the beach on summer as the sun gets pretty hot. Sunburn is definitely something that I’d rather avoid as it gets me in an inconvenient situation especially when I need to take care of my baby. This particular Visor Cap i adjustable in size and can easily protect your face from the sun because of its 4.7” wide brim. It is also foldable and can be rolled up easily and kept inside your bag. Another lovable aspect is that its pretty cute! Cleaning luggage after travel can be hard (I know, I have the same dilemma and will just put off cleaning the luggage until it’s super filthy. LOL). Give Mom some stylish (and fun) Luggage Protector Suitcase Cover for her luggage when she travels and make it easier to spot it at the airport when the luggage is checked-in. The suitcase cover is double-stitched, is stretchable and with high elasticity. If your mom loves small jewelries, then this cute travel suitcase is something you should definitely buy her! How about pairing it with this nice Retro Camera Charmand this Charm Bracelet Snake Chain! Often, no matter how simple our moms are, a nice one or two pieces of jewellery can definitely make her smile (and feel special!). Give mom one of this Wrist Watch that will look good on any outfit for any occasion! Traveling does encourages one person to be free, what better way to remember this by buying a watch she can wear everyday with this reminder! 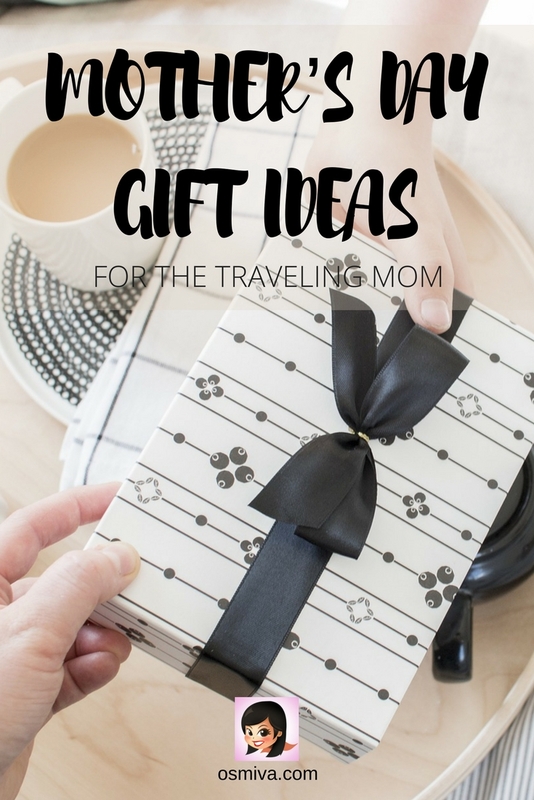 Generally, I’m sure everyone will love to give our moms the gift of travel. A trip to somewhere really nice that they’ll enjoy. But admittedly, not everyone has that luxury of gift giving. Tangible gifts are pretty cool alternatives, don’t you think? Still looking for ideas? You can also head out to our Traveler Shop for some unique travel accessories that every women will love! Don’t wait for that last minute shopping! Good collections. I never thought of these tiny details as I only thinking of gadgets to bring. Thanks for the ideas. All of these seem very practical to me. I definitely need to get one of these turbans. I’ve also never seen the luggage protector. Looking into that for sure. Thanks for sharing.